Another bit of SCOF history . 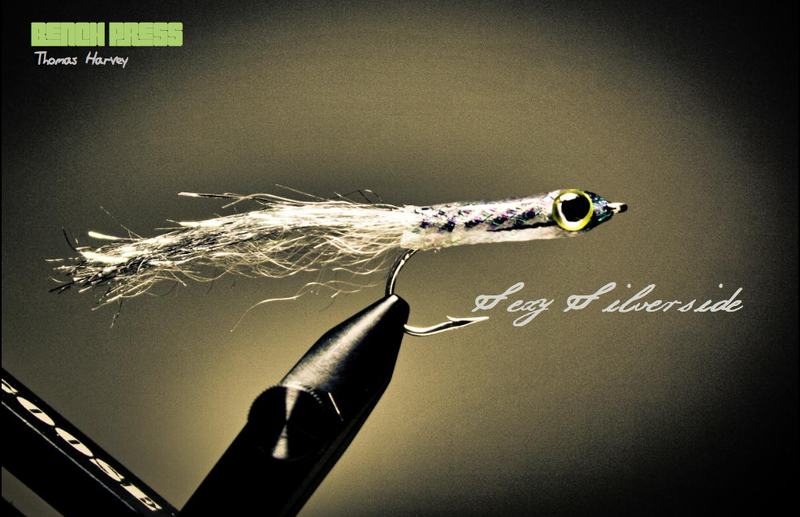 BENCH PRESS #1 from SCOF issue.no.1, Thomas Harvey before he was the SCOF Fly Editor with a very cool saltwater fly… tie it up. Filling the box for this year’s migration to the North Carolina coast started where most fly tying starts… at the computer reading, researching and reviewing popular salt-water patterns. Being relatively new to the salt, I was struck by a single thread that seemed to run through most of the patterns: simplicity. 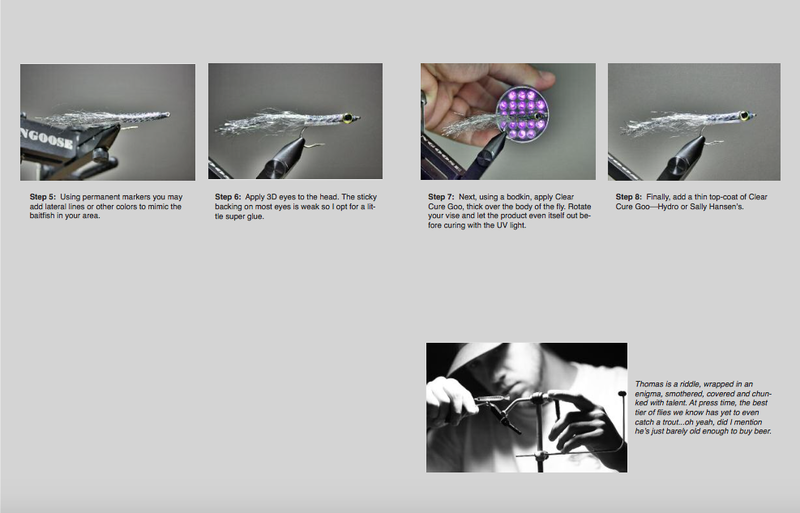 From Bob Popovic’s “Surf Candy” to Bob Clouser’s “Clouser Minnow”, most patterns used a few staple materials, utilized elementary tying techniques and took little to no time to tye. 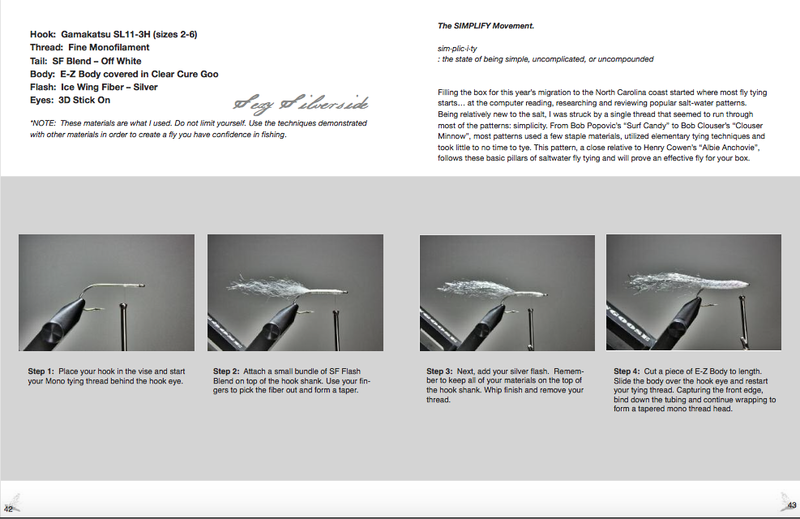 This pattern, a close relative to Henry Cowen’s “Albie Anchovie”, follows these basic pillars of saltwater fly tying and will prove an effective fly for your box.